Sleeping on your stomach can put undue strain on your neck and spine. A different kind of support is needed for those who sleep on their stomachs as opposed to back and side sleepers. Most people sleep on their sides or back. Mattresses, in turn, are engineered to provide cushion sufficient to support the back and the hips (which is where most of your body weight centers around). This is great for most people. What about stomach sleepers? 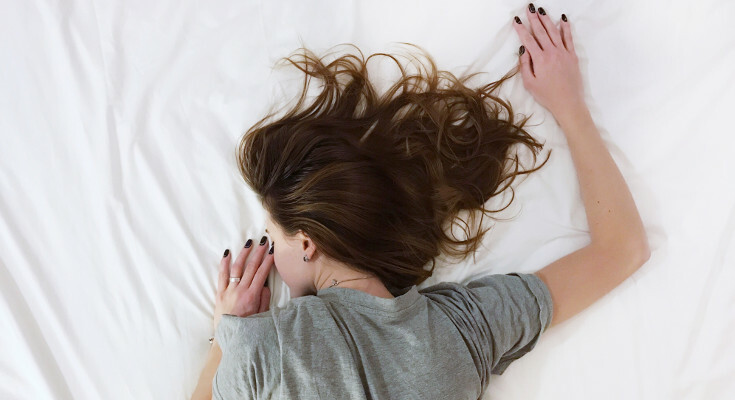 In this article, we review what makes a great mattress for stomach sleepers and our top five recommendations for stomach sleeper mattresses. 2 What Makes a Great Mattress for Stomach Sleepers? 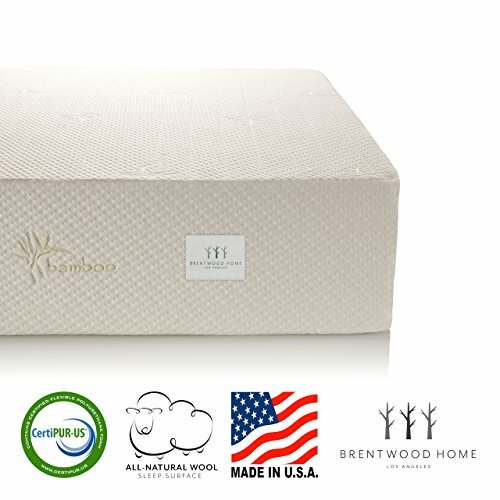 The Brentwood Home Cypress Mattress is a memory foam mattress designed to regulate temperature, wick moisture, and prevent moisture. There are three layers to the mattress: the top layer is 3.5 inches of gel memory foam for relieving pressure and providing a cooler sleeping surface, the mid layer is 2 inches of foam for ventilation and letting the surface layer breathe, and the base layer is 7.5 inches of foam for absorbing weight and providing deep compression support. 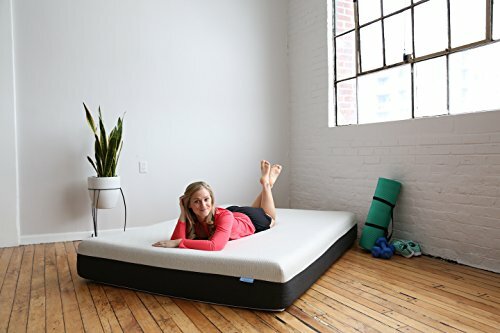 This medium-feel mattress comes with a thick 3.5 inch top layer memory foam that can be great for stomach sleepers, especially those with big bellies. This layer provides the softness with support that sleeping on your stomach can need. The mattress also comes with a removable zipper cover that is lined with wool that can be washed as needed. The mattress comes with a 25 year warranty, delivered as compressed and rolled in a box, and is CertiPUR-US certified. Research and internal studies conducted by the Bear Mattress has shown their mattress is scientifically proven to both improve muscle recovery and athletic performance. This is due to their patented cover infused with Celliant Technology. The clinically-proven Celliant Technology cover is a one-of-a-kind cover that increase oxygenation throughout the body by turning body heat into infrared light to improve blood flow. Celliant is found in some sporting equipment and sporting apparel. The mattress comes with four layers of foam: the top layer is 1 inch of graphite-gel memory foam. The benefits of graphite is similar to gel for regulating and dissipating heat build up. This graphic-gel memory foam layer is 7 times cooler than industry-standard memory foam. The second and third layer is 1.5 inch and 1 inch of quick responsive foam to reduce body impressions (with a slight bounce). The bottom layer is a core support layer that is 6 inches of high density foam for deep compression support. All the foam is CertiPUR-US certified and the mattress is manufactured in the USA. The mattress also comes with a 100-night trial for testing whether the Bear Mattress is right for you. The Yogabed Mattress is a 10-inch memory foam that use trademarked Yoga Instant Response Foam (YIRF). There are four layers to the mattress: The YIRF is a 1-inch top layer of reactionary foam that provides pressure relief and comfort. The second layer is 2 inches of YogaGel that provides temperature regulating gel and comfort within its memory foam. The third layer is 6 inches of breathable foam base for deep compression support. The last layer is an interesting 1-inch support base that lends some durability and foundation to the rest of the mattress. The mattress does an excellent job providing pressure relief and more bounce than typical memory foam mattresses. Gel infused into the mattress second layer allows for temperature regulating. The cover is a removable zipper cover for washing and machine drying. The Yogabed Mattress is a medium firm feel. The Puffy Mattress is a 10-inch gel-infused memory foam mattress with two layers of foam. This mattress is made with primary focus on reducing joint and back pain, with 4 years of research put into its design. The top layer is 3 inches of patent pending Cooling Cloud Comfort Foam, with a unique mixture as gel memory foam. The bottom layer is 7 inches of support foam that helps distribute weight evenly and maintain spinal alignment. 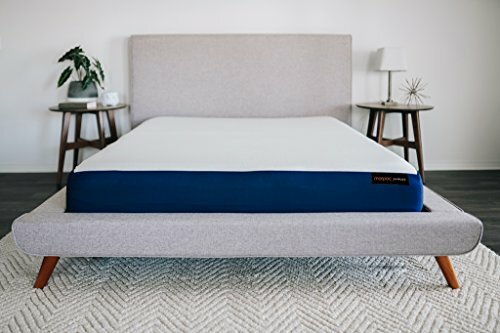 The great thing about the Puffy Mattress is the 100-night trial with free returns, letting you test run the mattress for over 3 months to see if it’s the right fit for you. There is also a surprising lifetime warranty for any potential defects. The Quatro Sleeping Mattress is a 10-inch mattress designed to be a ‘one size fits all’. It is made with three layers of memory foam. The top layer is 1 inch of what is known as the Plex-Air foam layer. This layer acts as a pressure point relief layer for comfortable sleep. The second layer is 2 inches of support foam that contour to the shape of your body. The base layer is 7 inches of support foam that provides sturdy support for all weight class. The top layer provides a responsive sleeping surface that won’t leave a lasting body impression as you toss and turn during the night. This means undisrupted sleep from rolling uncomfortably on uneven sleeping surfaces. The middle layer provides more support as a slightly lighter weight/density that make the mattress suitable for those who sleep on their sides and stomach. The last layer enforces the shape of the mattress, providing deep compression support and the firmness of the mattress by supporting the upper two layers. What Makes a Great Mattress for Stomach Sleepers? Proper support and pressure relief for the spine and neck. When sleeping on your stomach, one major concern is the pressure exerted on the neck and spine. Unlike sleeping on your back, resting on your stomach can cause your spine to misalign itself throughout the body. For this, we look for consistent support throughout the layers of the mattress. Responsiveness and pressure relief foam play an important role. Medium to medium-firm firmness range. Having a mattress in the right firmness range can play a role in relieving pressure points on your body. Common pressure points such as the neck and lower back occur because body weight centers around the hip area, pulling the body, back, and spine uncomfortable downward. With a medium to medium-firm mattress feel, we can better ensure your body receives the proper support it deserves. Thin but soft foam top layer. Another feature to mattresses for stomach sleepers is having a soft foam top layer. Some sleepers may have a belly that, when laid upon, causes the spine to misalign itself. The foam provide give, contouring, and support to the stomach and allow a flat, neutral back position. A thin layer is not necessary, but can be helpful for sleeping on your belly. Contours to the curves of your body for full body support. Memory foam fits the bill as one of the best mattress material for responsiveness and moldability. Sleeping on your stomach means a lot deeper body curves that require support all around. Your back and spine will naturally tend to straighten out, which may force stomach sleepers to raise one leg to relieve lower back pressure. This is a highly unrecommended sleeping movement and can be mitigated with the right mattress that shapes and support your body in full. Unrelated to mattresses: Owning the right stomach sleeper pillow. We include having the right pillow for sleeping on your stomach because stomach sleepers tend to have strained necks from unnecessary pressure. 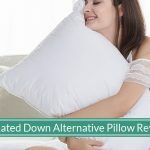 The appropriate soft and supportive pillow can alleviate a lot of undue stress on your neck and spine. The right pillow is essential. A bad night’s rest can leave you mentally and physically exhausted. Sleeping on your stomach demands a different kind of attention and support that particular mattresses can offer. Whether you sleep on your stomach, back, or side, owning the proper mattress suited to your sleep will help improve the quality of your sleep for the next several years of your mattress lifespan. Before buying a mattress for stomach sleepers, be sure to read our section on what makes a great mattress for sleeping on your stomach. One important point to reemphasize is having the best sleep also means owning the right stomach sleeper pillows to relieve strain on your neck.